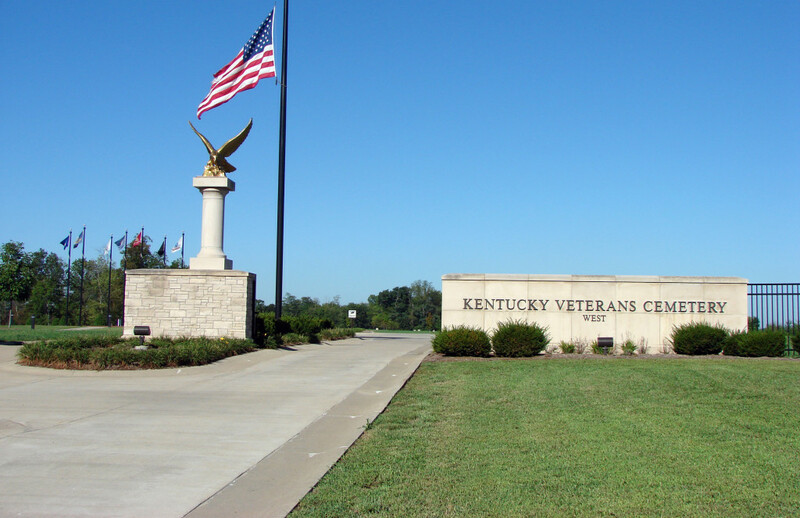 A 25-foot eagle and a 65-foot pole for the American flag mark the entrance to the Kentucky Veterans Cemetery-West. On grave sites marked with white crosses, Veterans of all wars and ranks are buried side by side. A computer terminal in a brick entry building with a heated foyer helps visitors find the graves or stored ashes of loved ones. A covered area designed for large memorial services also serves active-duty service members from nearby Fort Campbell.